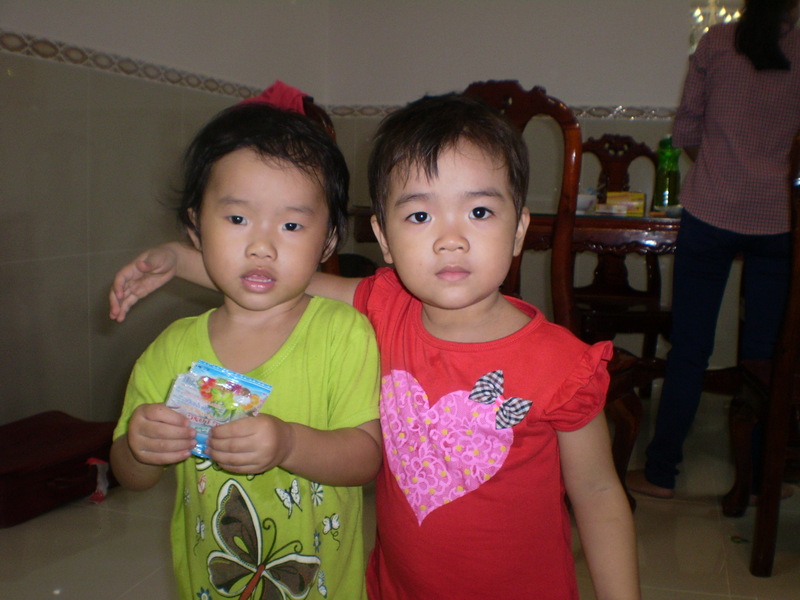 A house blessing in Vietnam | Walk with us! Family and SCJs after the house blessing. 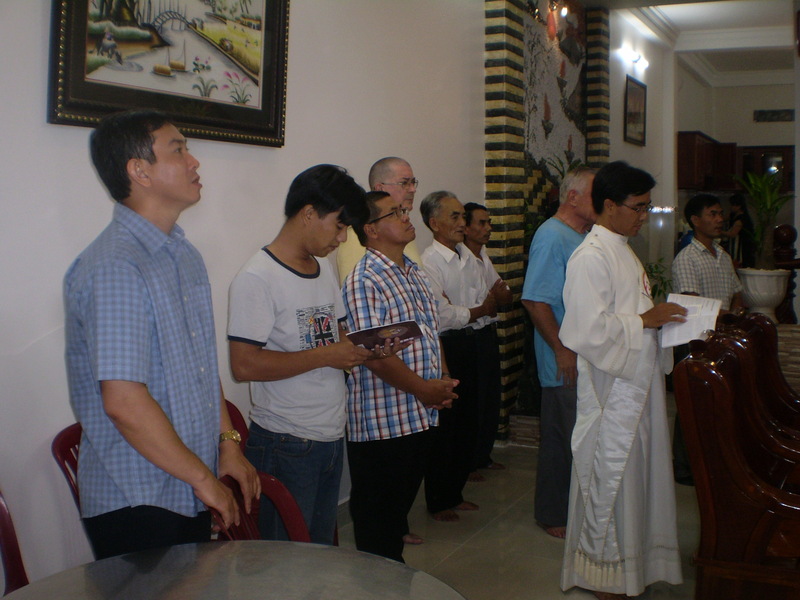 Deacon Phu works in the formation house in Saigon. He also works at St. Paul’s Parish on the weekends. He will be ordained in November. 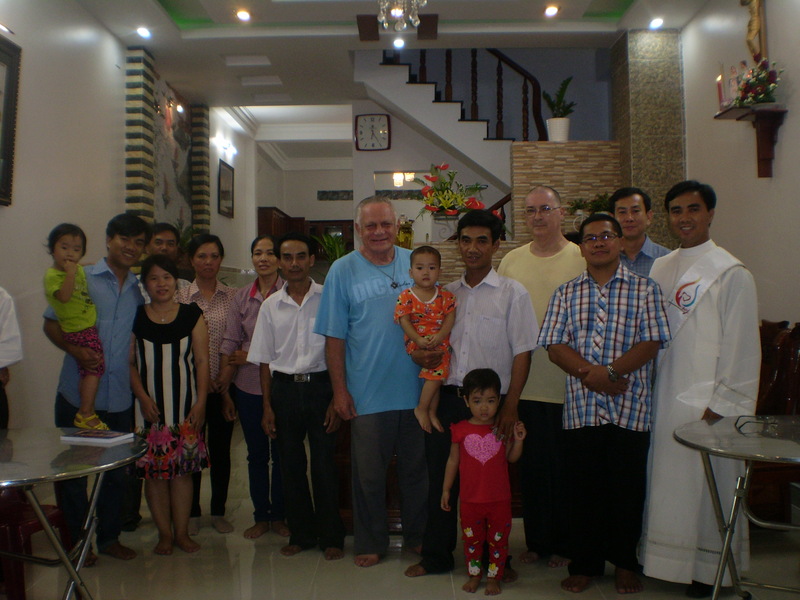 His father, his brother and his sister came to Ho Chi Minh City for the blessing of his younger brother’s home. The community was invited to attend. Before going to his house, we also blessed a neighbor’s home. In both homes, an altar was prepared on a major wall. The wooden altar had a beautiful statue of the holy family. I believe that the statue of the child Jesus had a heart. Their also was a small bouquet of flowers. Above this shrine, there was a large wooden crucifix. After the prayers before the altar, Deacon Phu went throughout the house to bless it. Diap, his niece, [the little girl in red] took ahold of my finger and escorted me up the stairs, throughout the two upstairs stories and back down. She only let go of my finger when we arrived downstairs again. I received a royal tour. Afterwards, we were treated to a jovial banquet.